The pillars of popular music continue to fall with shocking crashes this year. In a death-filled year that began with Bowie, now comes word of the death of Prince at only 57. Like Bowie and very few others who came to the fore in the last three decades, Prince was an influential force in music that never lost his essential cool. With complete control over his albums since he was signed as a teenager from Minneapolis, he dazzled audiences for decades. Never was there a time when he appeared on a TV show for an hour (with “Arsenio”) or for a moment (on “New Girl”) that it wasn’t the biggest thing happening. He was a master of every part of his art: his underrated guitarplgaying, his songwriting, his remarkable and soulful pipes, a sense of style that never stopped ad the kind of career-long mystery that no star in an internet age has been able to pull off. I was lucky to see him a handful of times — the first on his “Controversy” tour in the Midwest, a night I’ll remember forever because it came the day I came back from the Buddy Holly celebration directly to the show in Omaha. The band he helped create, The Time, opened the show, and none other than Roger Troutman and Zapp were the middle band. And Prince led his life with his own rules, choosing to stay in the Twin Cities, and almost single-handedly making it a soul-funk capital with the talent he brought along in Paisley Park. The newspaper I worked at during that time reprinted my review of that concert today, and also my not quite as stellar movie review of his “Purple Rain,” which was so offensive to me for its mistreatment of women. Still, its music has certainly stayed with us. I continued to cover his album releases as they came out, and as he changed his name to a symbol, and then the Artist Formerly Known as Prince, and then just the Artist, and then once he was free from Warner Bros., back to being Prince. Few people could survive such pretentious moves, but Prince was the one who could, based on his talent alone. Yes, I kept buying albums throughout his career, the dozens he released, and though not all had the impact of his earlier stuff, there was always something interesting on them. Just last week I was playing his “Emancipation” on my radio show, in honor of D.C.’s own Emancipation Day. Earlier this year, I was talking with Prince with the performer’s own Boswell, Jon Bream of the Minneapolis Star Tribune, possibly the longest running rock critic still working at a daily paper. He had mentioned he had gone out to Los Angeles to try and get an interview while Prince recorded his first album and I thought that was absurd. He hadn’t even recorded yet, after all. But it was a big deal for a teen from the Twin Cities to even get that kind of record contract, and there was talk about how good he was. Bream went on to write the definitive books on Prince, though it didn’t earn him any praise from Paisley Park. 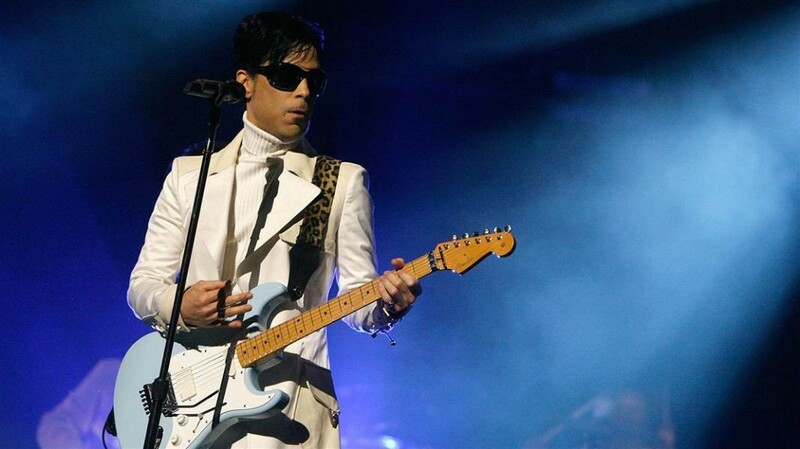 The next time I got to see Prince was a couple of shows in 1997 — a hastily announced one at the FleetCenter in Boston, where his spins, spits and turns during his performance showed him to be the offspring of James Brown if not his funky set of stage costumes — crushed crepe bell bottoms in copper lime and ultimately purple. A few months later he was at the Oakdale Theater in Connecticut, with the same kind of breathless performance, zipping from one height to the next with a throbbing vocal falletto, followed by a blazing guitar solo, punctuated by the spins and splits of a genuine showman. At the same time, he was giving honor to the soul men that came before him, such as the Sly and the Family Stone bassist Larry Graham, whose Graham Central Station opened the show. Then there was his epic solo on “While My Guitar Gently Sleeps” that mowed down a Rock and Roll Hall of Fame salute to George Harrison in 2004. When he played a couple of shows at the Warner Theater in D.C. last year, I wasn’t well enough connected to score seats, but marveled at not only its set list — “When Doves Cry,” “1999,” “Kiss” among them — but at its guest list: No less than Stevie Wonder came out to join him for the late show. Still, one can be certain nobody upstaged Prince at the show. Nobody ever has.